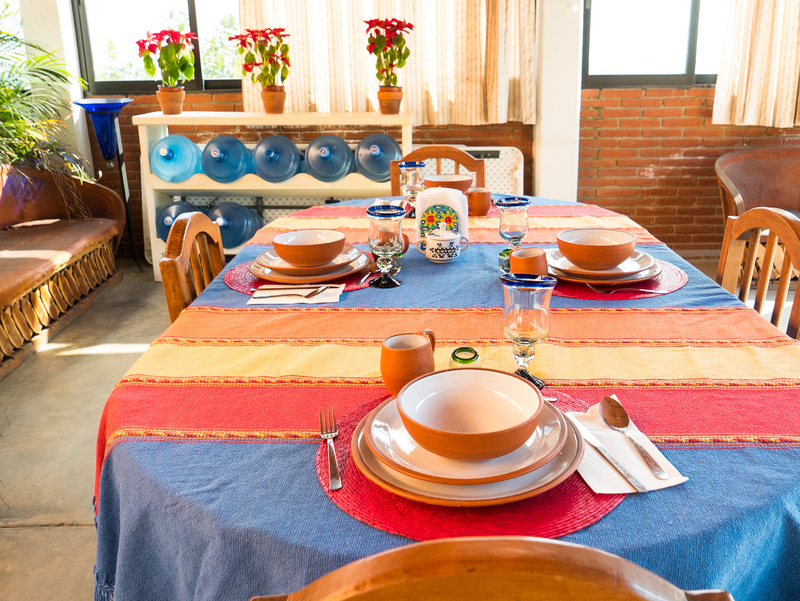 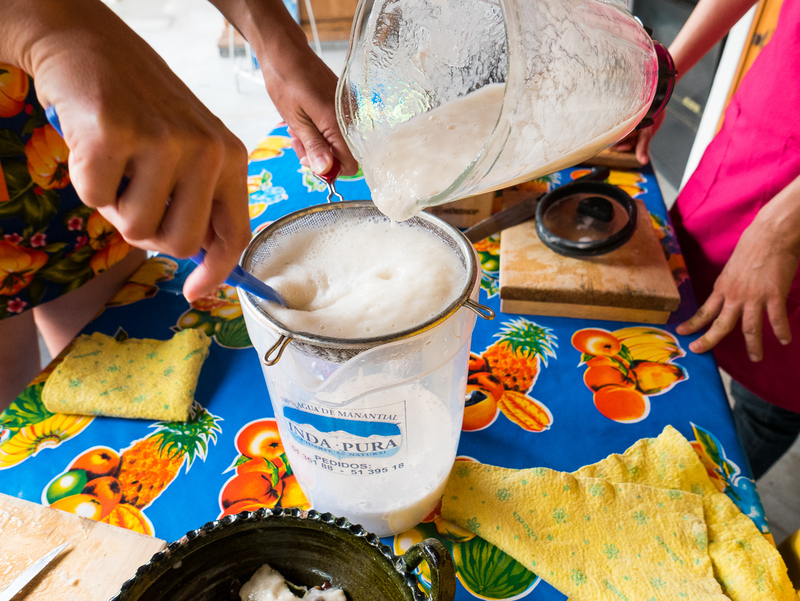 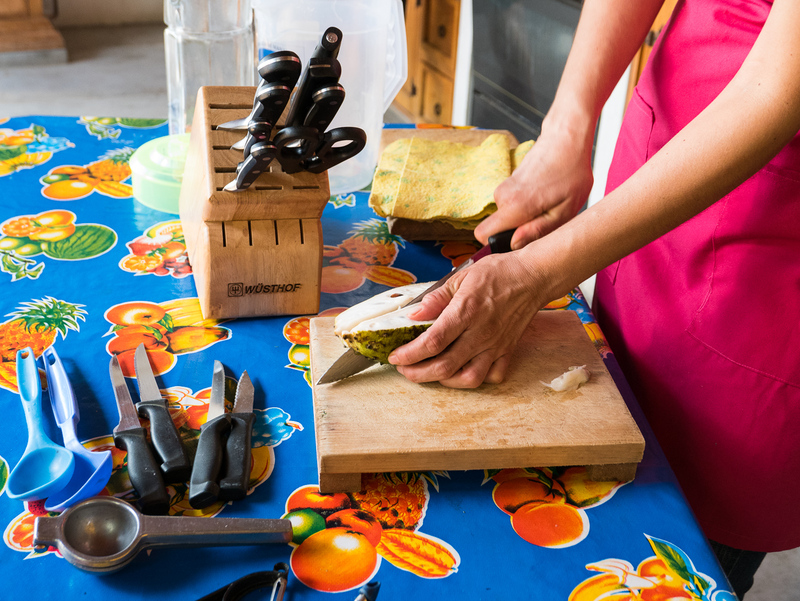 Since Oaxaca is known for its food, cooking classes are popular for travellers wanting to learn more about the local cuisine. 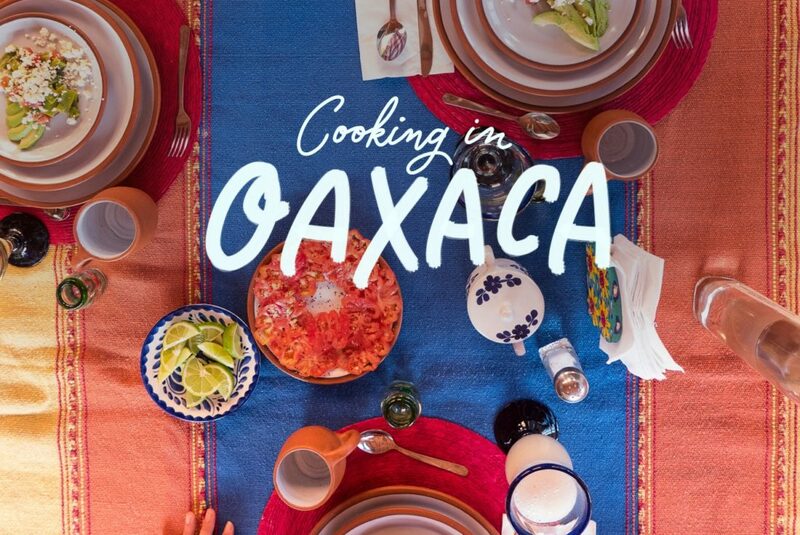 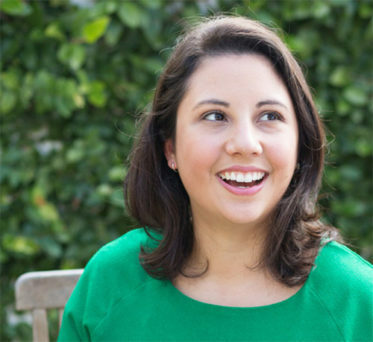 The Boy and I were keen to learn more about Mexican cuisine beyond the “Tex Mex” we’re used to in Australia, so on New Year’s Eve in 2015 we did the Taste of Oaxaca cooking class with Karla Maria. 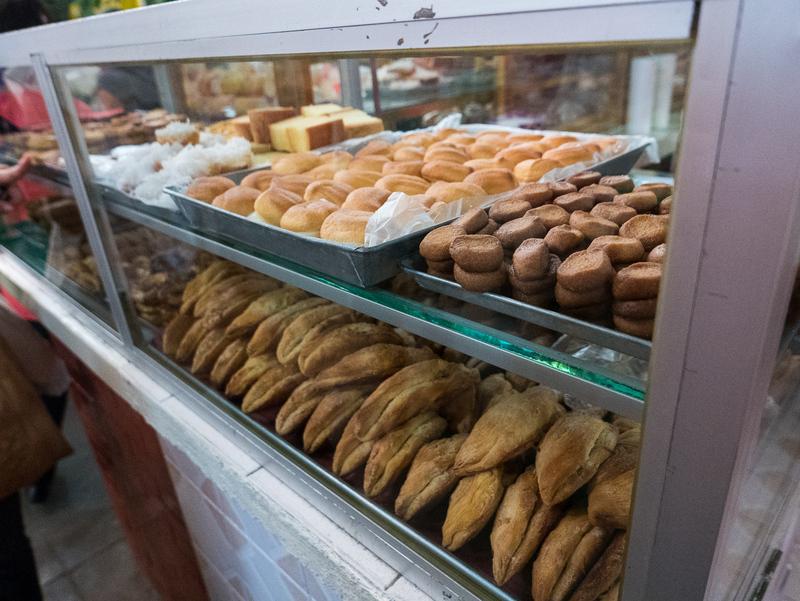 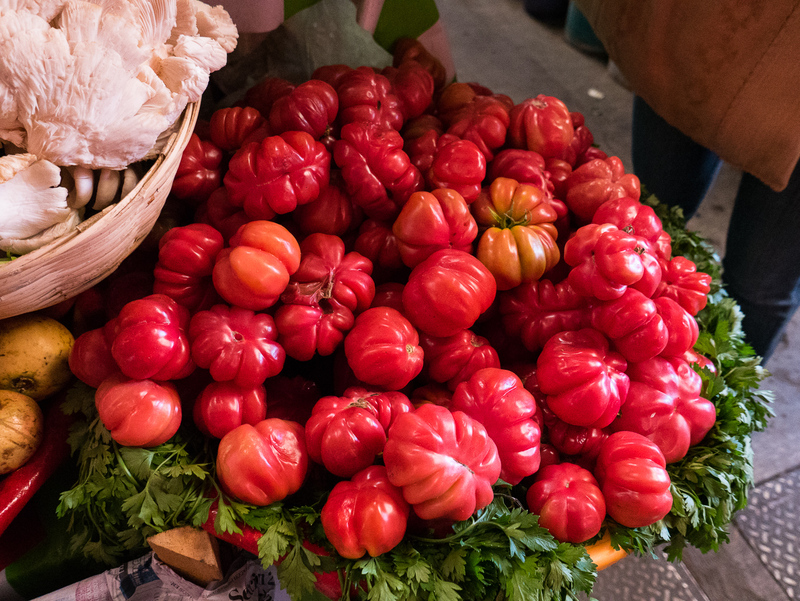 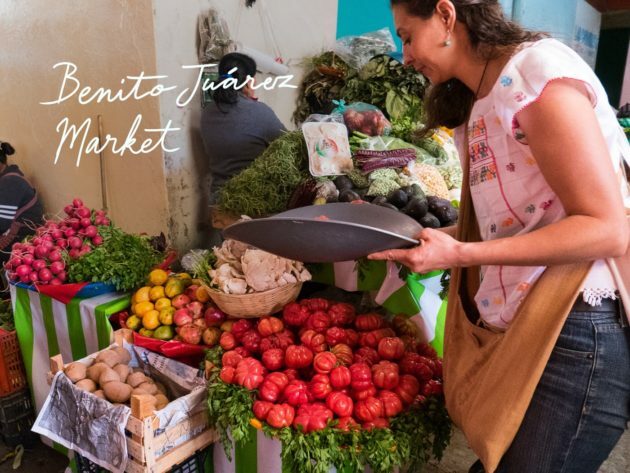 With another couple in our class, we began by visiting the Benito Juárez Market to buy ingredients – many of which I’d never seen before! 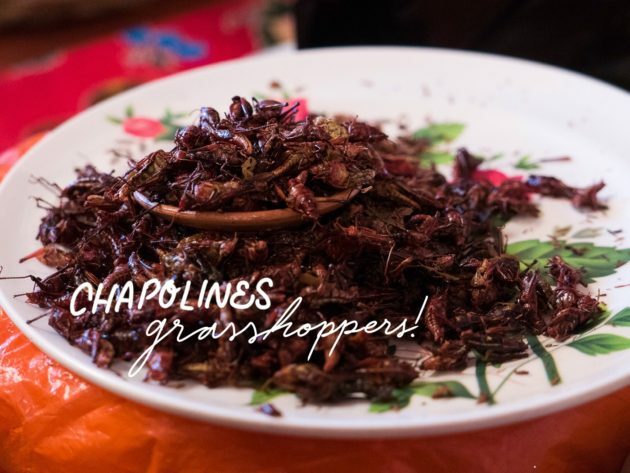 Heirloom tomatoes, many kinds of smoked chillies, freshly made tortillas, cactus leaves, squash in all shapes and sizes… even fried grasshoppers. 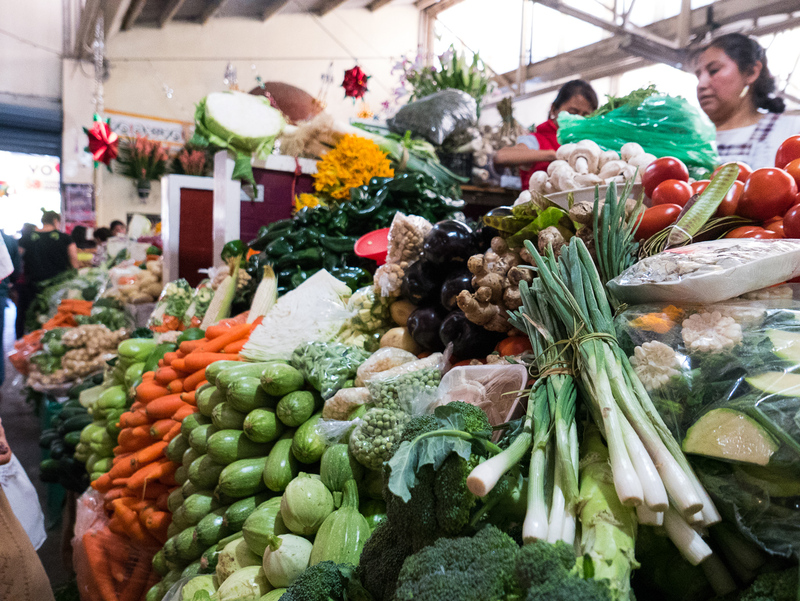 You can also buy about a kilo of avocado for the same price as a single one here in Perth. 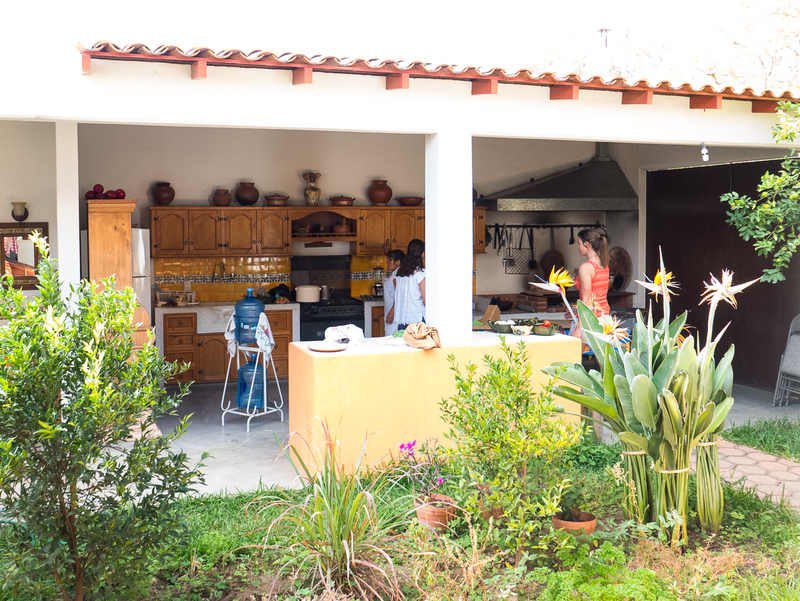 Going back to Karla’s home, we prepared the food in her amazing outdoor kitchen. 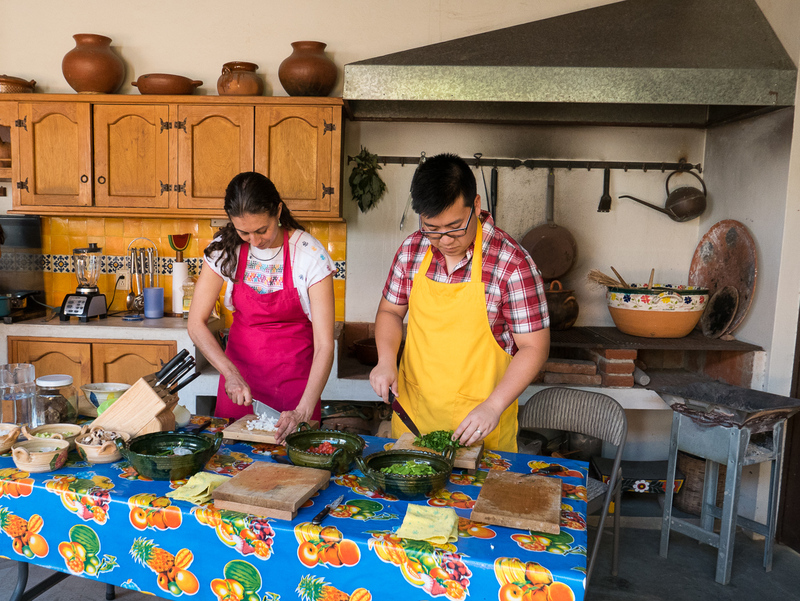 Although everything was explained to us, there wasn’t a whole lot of time for us to prepare everything, so Karla and her assistant did a lot of the work preparing the chicken and soup. 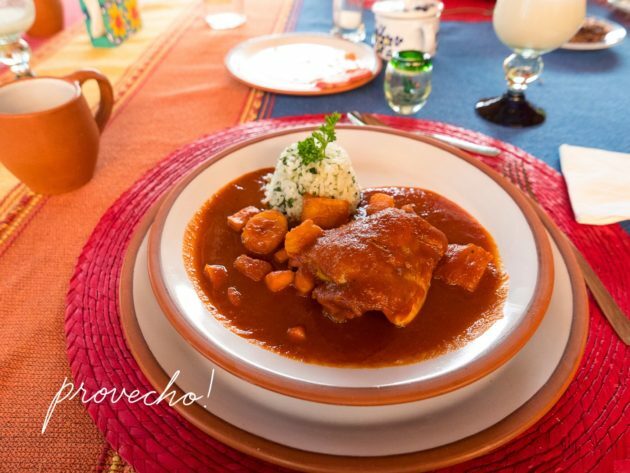 We did manage to make guanabana juice, prepare a cactus salad, blend together a red mole sauce, and stew tiny apples in spiced syrup for dessert. 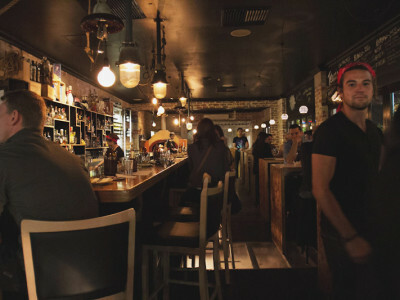 How cool is this kitchen?! 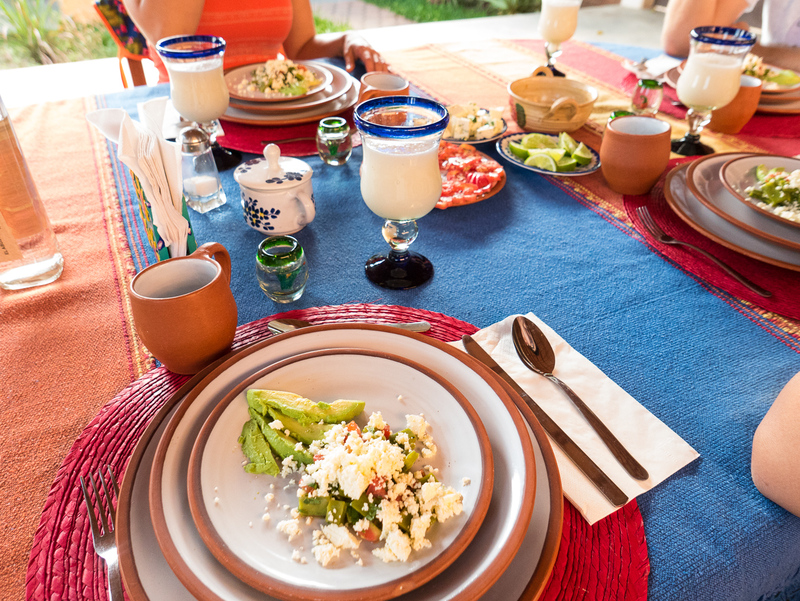 Everything was served in beautiful Oaxacan ceramics, with mezcal to begin and to finish. 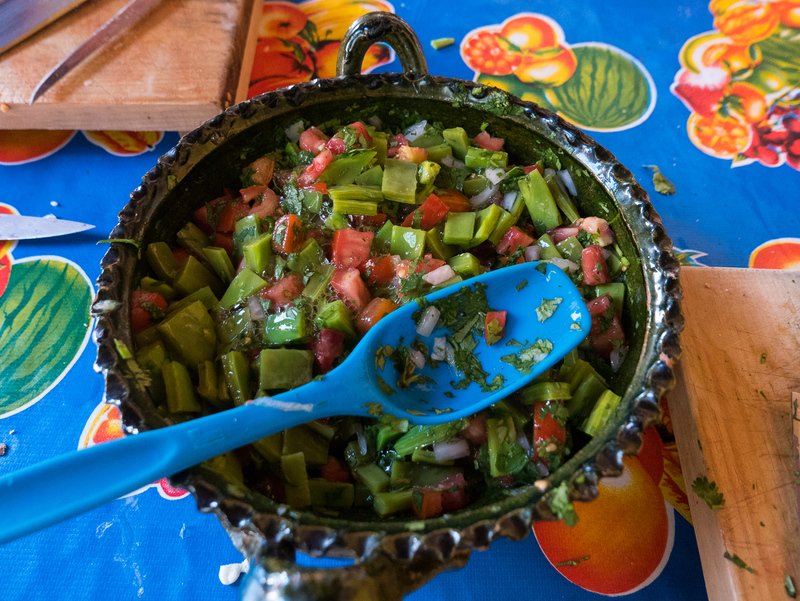 It was a really lovely way to end the year, and a completely different style of Mexican food than we’re used to. 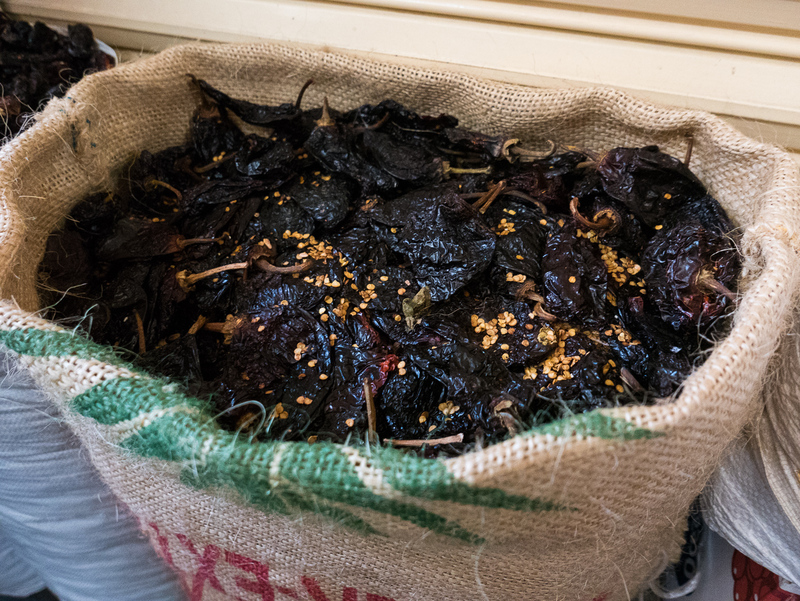 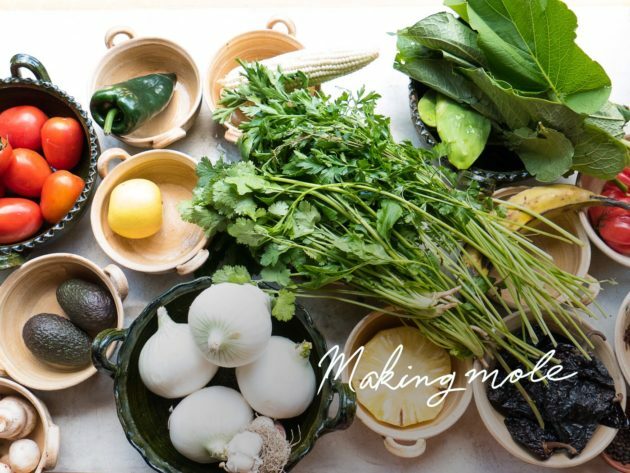 I keep meaning to look up how to make mole at home, but I haven’t been able to find the chillies in Perth!